If Luis Suárez were healthy we would have seen him in Uruguay's shock loss to Costa Rica. Instead Uruguayan manager Oscar Tabárez, trailing by a goal with only fifteen minutes remaining, opted to bring on Palermo striker Abel Hernández. Hernández, a player hyped as "the next big thing" long enough for the title to take on an ironic air, had a fine season in the Italian second-division, scoring 14 goals and helping Palermo secure promotion to the Italian top flight. Suárez scored 31 times in 33 league appearances for Liverpool, tying the all-time Premier League record for goals in a season, and brought Liverpool within touching distance of their first league title since 1990. The difference between Hernández and Suárez is measured in orders of magnitude. The restraint showed by Tabárez is commendable—not many managers, international or otherwise, would ignore the pleas of a star player just trying to help his team, as he did in the opening match. Tabárez, who has enjoyed the kind of job security known by few in the hostile and fickle world of soccer, showed wisdom and poise in dealing with Suárez. The Uruguayan manager knows two things: that Uruguay will need to ride the back of Suárez if they are to achieve anything at this World Cup, and that Suárez, a player who might be best compared to Pete Rose (with biting in place of gambling), couldn't be trusted to give him an accurate self-assessment of his health and fitness. To paraphrase Pete Rose, Suárez "would walk through hell in a gasoline suit" to play soccer. England, a side which may start as many as five of Suárez's Liverpool teammates, are under similar fire after a tough loss to Italy in the steam room known as Manaus. England wilted in the heat and were hurt by several baffling personnel decisions by their manager, the owl-like Roy Hodgson. The substitutions of players like Jordan Henderson, an Energizer Bunny of a midfielder, rather than removing an aging Steven Gerrard or an ineffective Wayne Rooney were skewered by the English press. If Hodgson makes similar mistakes this time against Uruguay, England could be sent packing just a day after Spain's shock exit. That would be a pity, because England are loaded with young talent. There have already been calls for Ross Barkley, the 20 year-old midfield phenom from Everton to start (even in place of Rooney). Barkley's inclusion could add an element of dynamism that was found lacking as England chased a second half equalizer against Italy. Luke Shaw, the 18 year-old left back may also get a look after an underwhelming performance by nominal starter Leighton Baines. The real key for England lies with Raheem Sterling, the Liverpool teen prodigy, who showed the vision and passing accuracy to release Wayne Rooney and record the hockey-assist on England's only goal. 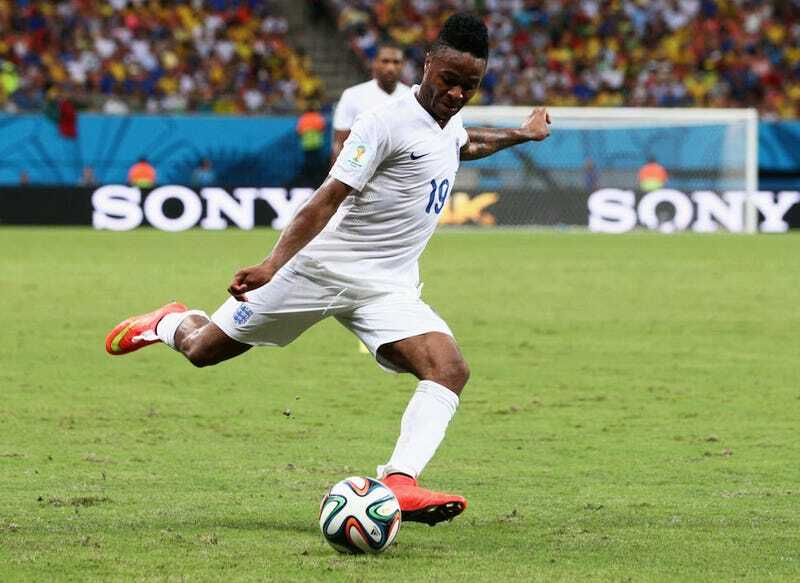 Sterling should be able to find freedom in between the Uruguayan midfield and back line. Uruguay's center back pairing of Godin and Lugano, a player recently released by Premier League side West Brom, have collective pace that might be best described as statuesque. Uruguay should sit deep and try to absorb England's pressure. England, a team set up to counterattack, struggled with a deep defensive line against Italy. Hodgson will need to come up with a Plan B if England expect to earn all three points. On paper, you'd have to like England's chances against an Uruguay side without Suárez. There is no good reason to believe Suárez will start and Uruguay looked a bit lost without him. That said, Hodgson is a conservative manager at his core and may be satisfied to take the draw if the game is tied late in the second half. Do We Believe The Netherlands Yet?